It was over five years ago that the flames of an ascending rocket last graced a Kennedy Space Center Launch Pad when the Space Shuttle lifted off on its final voyage in 2011. 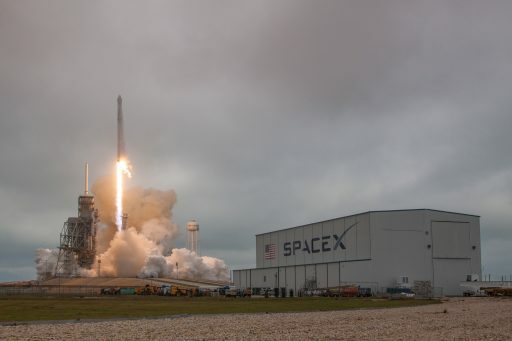 Kennedy’s historic Launch Complex 39 returned to rocket launch operations on Sunday with a most impressive liftoff of SpaceX’s Falcon 9 rocket – ushering in a new era of commercial launch operations from the storied space center. Launch Complex 39A, with an event-filled history dating back to the early 60s, saw off a dozen missions of NASA’s mighty Saturn V rocket including all Apollo missions to the lunar surface before taking on a new role of supporting the Space Shuttle for 82 of its launches. 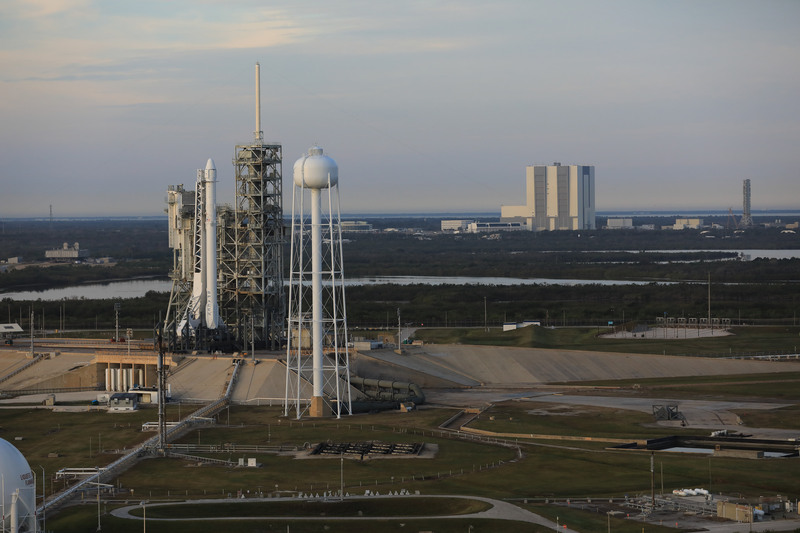 With the end of the Shuttle program came the transition of the Kennedy Space Center into a multi-user spaceport as facilities were re-purposed for numerous commercial and government programs, including LC-39A that was turned over to SpaceX in 2014 for a 20-year lease. Sunday’s liftoff marked the culmination of what was essentially a re-build of the launch pad’s critical propellant and ground support systems with frantic work in progress on a 24/7 schedule over the last weeks to activate the launch pad for Falcon 9 missions after SpaceX’s Cape Canaveral Air Force Station pad suffered considerable damage in September’s Falcon 9 explosion. Falcon 9 lifted off from the southernmost of the two former Shuttle Pads at 14:39 UTC on Sunday, taking to the skies over a cloudy Space Coast to lift the tenth operational Dragon spacecraft into orbit for a critical supply delivery to the International Space Station. 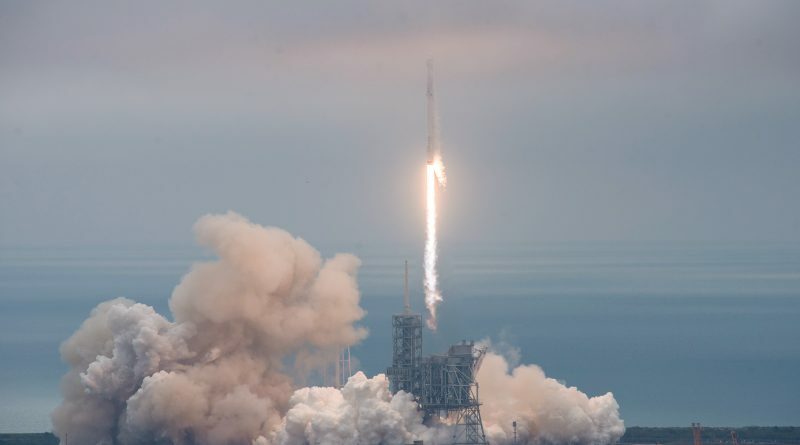 The 65-meter tall rocket swung to a north-easterly departure path and fired its first stage for the first two minutes and 21 seconds before the single-engine second stage took over for a nearly seven-minute burn to loft the Dragon into orbit. For the first stage, the flight was not over at separation, firing up its engines again to slam into reverse and blaze back toward the Cape. 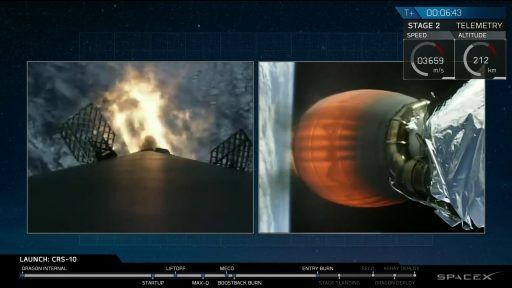 Another burn followed at re-entry ahead of 50 seconds of atmospheric descent prior to start-up on the center engine on the critical landing burn. 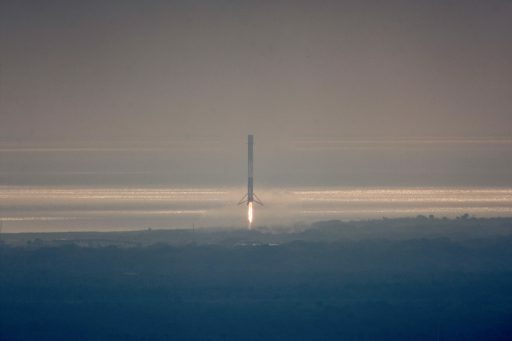 The 46-meter booster mastered its landing, coming to rest on its fold-out landing legs to mark SpaceX’s third land-based recovery, the first daytime landing at Cape Canaveral’s Landing Zone-1, some 15 Kilometers south from where the Falcon 9 had taken off just eight minutes prior. SpaceX’s Dragon has a critical role within the Space Station’s cargo fleet as the only vehicle capable of returning hardware to the ground via a parachute-assisted splashdown in the Pacific Ocean. A return capability is critical in the Station’s scientific mission as samples collected for hundreds of experiments need to be flown back to Earth for analysis using ground-based laboratory equipment. There is also a desire to fly failed systems hardware back to Earth for inspections into equipment failures. Embarking on its tenth regular cargo run to ISS under NASA’s Commercial Resupply Services, Dragon is carrying a total of 2,490 Kilograms of internal and external cargo. Riding in the spacecraft’s trunk section are two external payloads – NASA’s SAGE-III atmospheric sensing instrument, setting out to continue a long-term record of the ozone layer and suspended aerosols in the atmosphere, and the STP-H5 pallet hosting 13 experiments selected by NASA and the Department of Defense in a program dedicated to research and development of future spaceflight technologies. 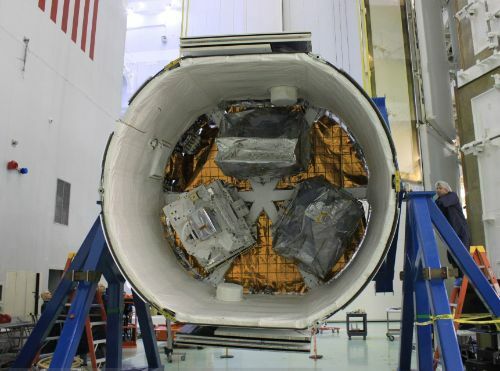 One and a half metric tons of cargo are inside Dragon’s pressure vessel; half of this mission’s upmass is dedicated to science as ISS heads into a particularly busy summer of operations with 300 studies planned over the course of the next six months. 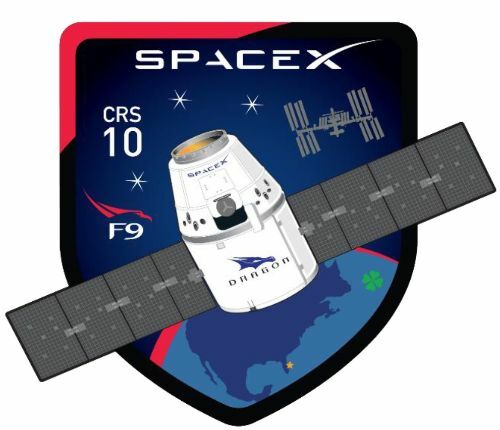 Flying aboard the Dragon are 20 mice that will live aboard ISS for about one month to study how bone tissues regenerate in the microgravity environment. Other experiments headed to ISS on the Dragon include stem-cell research, protein crystallization studies relevant for the development of pharmaceuticals, and a barrage of medical experiments for the Station’s crew to help understand the effects the space environment has on the human body. Dragon was originally booked for a Saturday takeoff, but SpaceX decided to scrub that day’s attempt just seconds before ignition to take the cautious route and investigate a suspect signature on the second stage’s Mvac engine that was not expected to impact the mission but was off-nominal nonetheless. 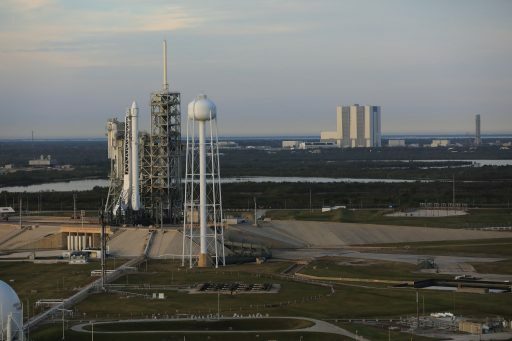 The decision to delay the mission was made personally by SpaceX CEO Elon Musk who explained on Twitter that the movement trace of one hydraulic piston in charge of vectoring the MVac engine was out-of-family with previous launches. 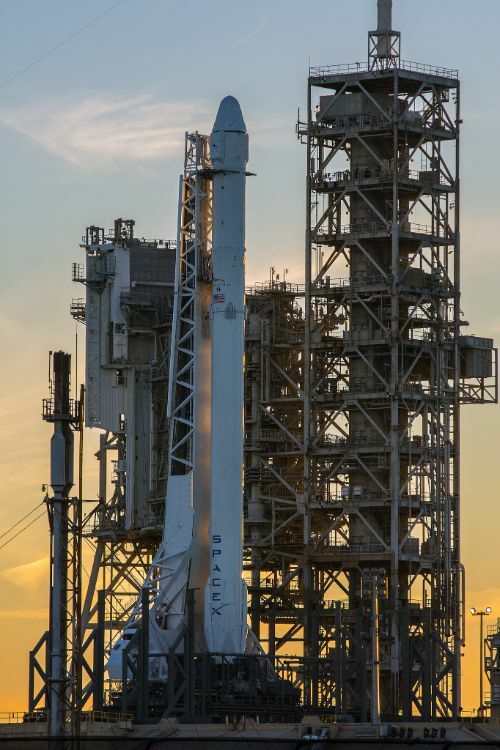 Falcon 9 was lowered to a horizontal position after completing de-tanking, enabling engineers to access the interstage and replace part of the steering actuator of the upper stage engine’s redundant thrust vector control system. 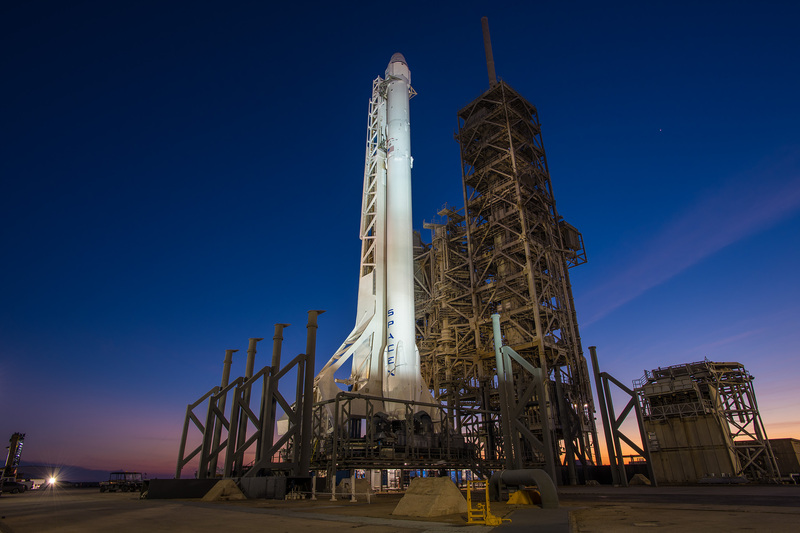 This work was complete by the early morning hours, local time, and Falcon 9 was back in a vertical position before sunrise to head into a multi-hour checkout activity. With a clean rocket, well-behaved ground system and partially favorable weather outlook, the SpaceX launch team gave a go to head into the fully automated tanking sequence at T-70 minutes. 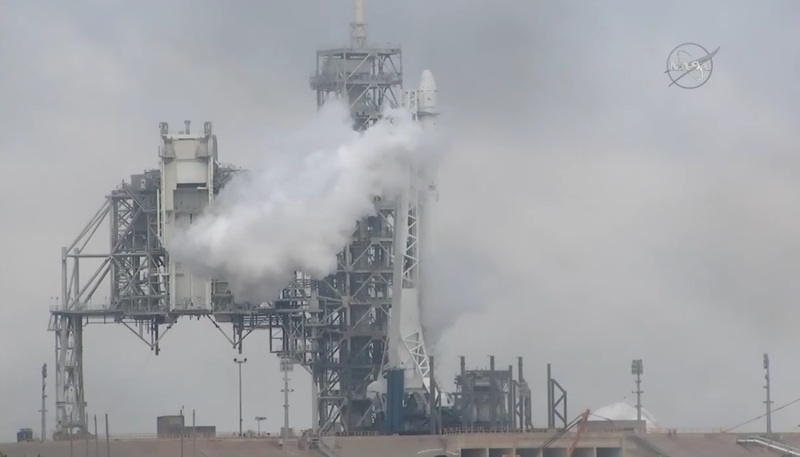 Utilizing the conservative loading sequence introduced after the testing accident in September, Falcon 9 received over 500 metric tons of chilled Kerosene and sub-cooled Liquid Oxygen plus cryogenic Helium needed to pressurize the rocket’s tanks in flight. Comm loops remained very quiet as Falcon 9 checked off its critical pre-launch steps while Dragon did the same after entering its auto sequence at T-35 minutes. The speed of countdown events picked up noticeably at T-7 minutes when Falcon 9 began chilling its nine Merlin 1D engines at the base of the first stage to set the stage for ignition. The launcher made its transfer to internal power and the new Autonomous Flight Safety System, making its first operational flight, was armed. 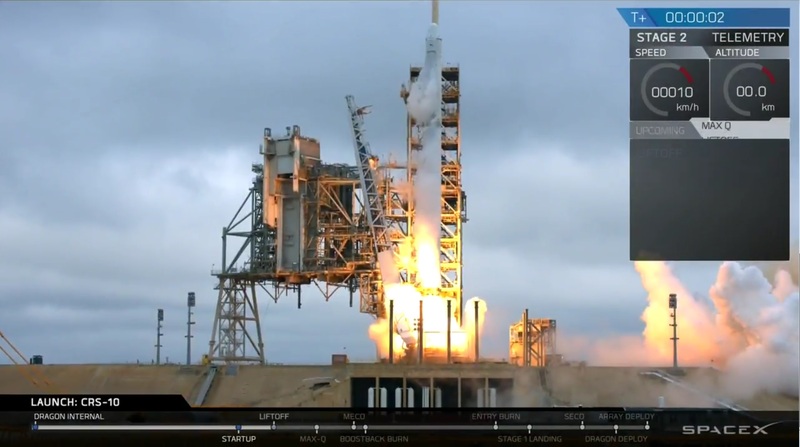 Final steering checks of the engines showed good results and Falcon 9 proceeded into the pressurization of its tanks. 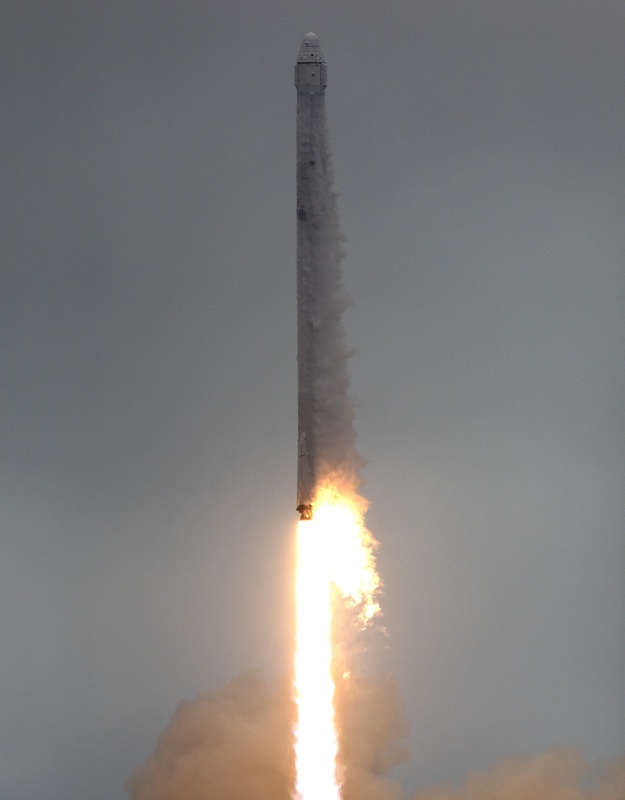 The rocket came to life at T-3 seconds when the nine Merlin 1D engines soared to a collective liftoff thrust of 694 metric ton-force. LC-39A’s Strongback structure rapidly moved away from the rocket at the moment of liftoff, an unfamiliar sight as SpaceX’s other launch pads host a TEL that retracts several minutes before clocks hit zero. 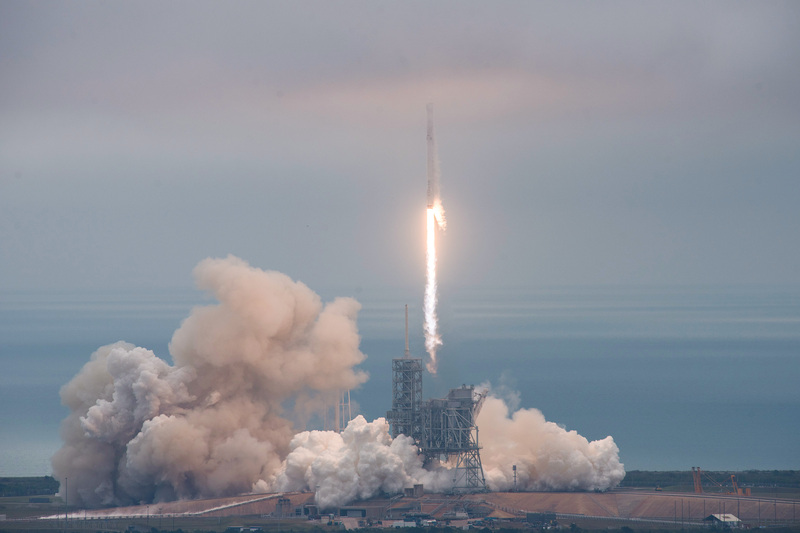 Falcon 9 took flight at precisely 14:38:59.5 UTC under the loud rumble of its nine engines, burning 2,500 Kilograms of propellant per second to lift the 549-metric ton rocket off the ground. It took only seconds for Falcon 9 to disappear into a low-hanging band of clouds that had moved in overnight with an area of unsettled weather which threatened to become a problem for the mission throughout the early morning hours. Falcon 9 passed the speed of sound one-minute into the mission and throttled back its engines briefly as it passed the area of Maximum Dynamic Pressure. While Stage 1 was still firing on all cylinders, the second stage’s MVac engine prepared for ignition by chilling down its turbomachinery. MECO was confirmed two minutes and 21 seconds into the flight after the nine engines accelerated the vehicle of 1,676 meters per second. Pneumatic pushers separated the two stages three seconds after MECO, 65 Kilometers in altitude from where the first stage embarked on its return to Cape Canaveral and the second stage proceeded toward orbit. Firing up its 95,000 Kilogram-force MVac, the second stage was in action for six minutes and 51 seconds to lift Dragon into Low Earth Orbit. Three minutes and 10 seconds into the mission, Dragon separated its nose cap as it was no longer needed outside the dense layers of Earth’s atmosphere. 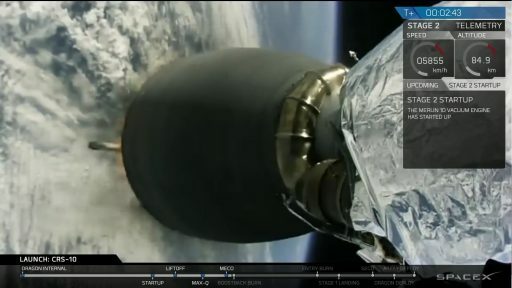 According to real time call-outs, the second stage functioned admirably as it headed north-east across the Atlantic Ocean, safing its AFTS and heading into Terminal Guidance mode towards the end of its burn for a precise orbital injection. Immediately after staging, the first stage fired its cold gas thrusters to swing around to an engines-first orientation for the boost back burn. Start-up of three Merlin 1D engines on the booster was confirmed right at T+3 minutes, tasked with reversing the booster’s travel direction and accelerating it toward Cape Canaveral’s Landing Zone 1 where SpaceX established a large concrete pad. Upon completion of the 35-second boost back, the first stage again used its thrusters to re-orient itself for re-entry. 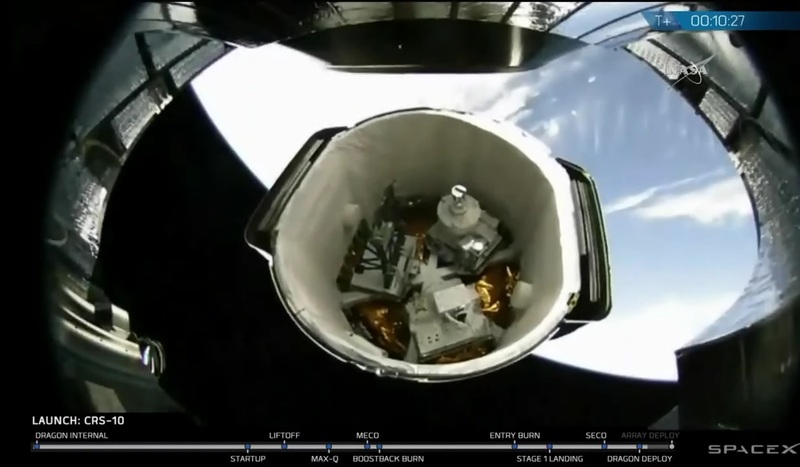 Onboard camera views showed the thruster pulses and the deployment of the four actuated grid fins at T+4 minutes to deliver three-axis attitude control during atmospheric descent. After three minutes of passive flight outside the atmosphere, the first stage hit the brakes at T+6 minutes and 32 seconds, firing three of its engines for around 15 seconds to slow down and shield the engine section from the most dynamic environments occurring at entry. The booster’s flight termination system was safed at the T+7 minute mark and its camera clearly showed the vibration of the stage in the dynamic entry environment, especially during the transsonic phase seven and a half minutes after launch. The center engine fired up seven minutes and 41 seconds into the mission on the critical landing burn, set for some heavy throttling to set the 46-meter tall booster down on its four fold-out landing legs. Double sonic booms announced the booster’s return to the Space Coast with much of its return hidden from view due to the dense cloud cover. 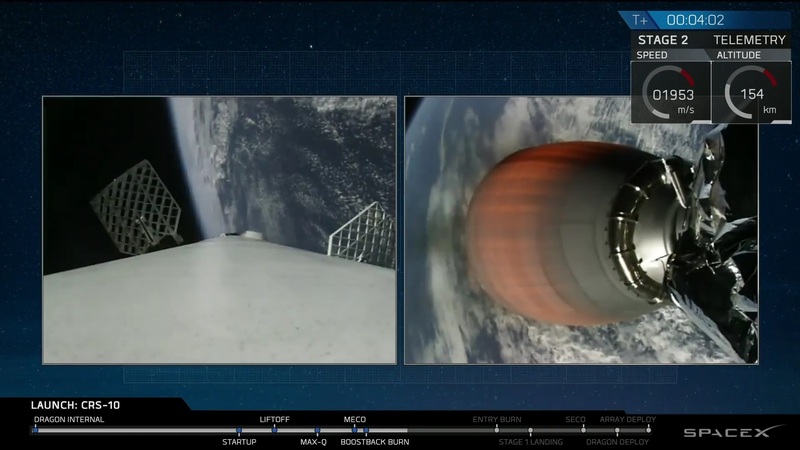 Onboard video showed fine-maneuvering by the grid fins as the booster punched through the cloud deck and entered a vertical descent to the central landing pad at SpaceX’s Landing Zone 1, around 15 Kilometers south of Launch Complex 39A. Stage 1 needed eight minutes and seven seconds for its round trip to the edge of space, in the process dispatching a payload of nearly ten metric tons into orbit. After a near-bullseye touchdown, teams headed into remote safing procedures before crews could head out to the landing site to salvage SpaceX’s eight recovered booster, the third to make an on-shore landing. While the first stage went through its propulsive return, the second stage accelerated into orbit, shutting down its engine nine minutes and 24 seconds into the flight. Launch Control reported a good orbit achieved by the second stage and orbital data later showed Dragon in an orbit of 202 by 357 Kilometers, inclined 51.63 degrees. Separation of the Dragon came one minute after propulsive flight ended, initiating a series of events aboard the spacecraft the most visible of which was the jettisoning of the solar array fairings and the deployment of the power-generating arrays 12 minutes after launch. SpaceX confirmed Dragon had begun firing its attitude control thrusters and initiated communications through the Tracking and Data Relay Satellite System. Starting off its mission with an impressive launch, Dragon is set for a series of engine burns beginning later on Sunday to maneuver closer to the Station’s 400-Kilometer orbit. Rendezvous is set for Wednesday as Dragon closes in on ISS from behind and below ahead of a straight-up approach to the capture point where the spacecraft will be grappled by the Station’s robotic arm at around 11 UTC. Berthing to the Harmony module is planned later that day to kick off a five-week stay lasting until late March to facilitate busy cargo transfer operations inside and outside the Space Station. For SpaceX, the next launch is coming up in around two weeks with the EchoStar-23 satellite that will require Falcon 9 to fly in an expendable configuration with no attempt of booster recovery. That mission’s timing will depend on how fast LC-39A can be turned around with launch currently penciled in for NET February 28.